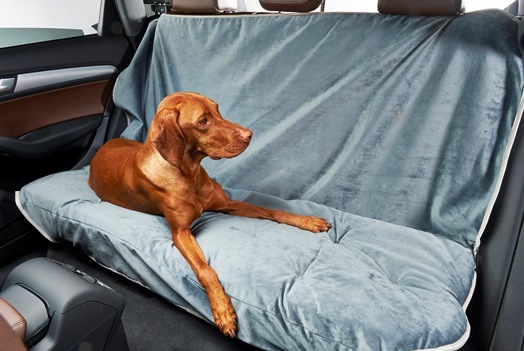 Protect your Car Seats from Spills, Dirt and Pet Hair! Tufted bottom cushion and contrast binding add a touch of class to any vehicle. Plush microvelvet fabrics repel pet hair and spills. Bottom cushion filled with High Memory fibre. Elastic side straps and metal hooks ensure secure fit to seat.